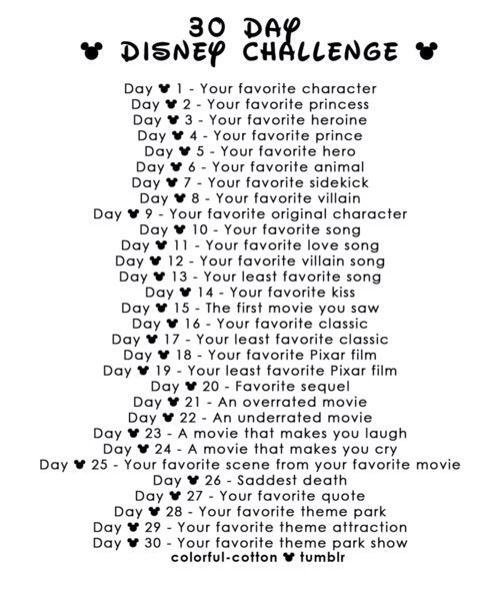 Rainy Thursdays has been doing a Disney Challenge, so I thought I would give it a go! All at once though, because why not? This is impossible to answer with just one person, but I’ll say Tom Sawyer in Tom and Huck, as played by Jonathan Taylor Thomas at the height of my love for him. He’s a troublemaker with a heart of gold, which….has always been my weakness. Belle! It was so cool for child-Tricia to see a brunette girl who loved to read saving the day, turning down handsome jerks and learning to love the unlovable. I saw the best version of myself in her. I really liked Rapunzel for her naivete and optimism. She has had a literally sheltered life, but she uses her pain to create art and dream of a better future. And I adore the scene when she first leaves the tower, alternating between ecstasy and fear. Very accurate, very funny. Probably Aladdin. He’s a smart-aleck, street-wise sweetheart. He takes care of his friends, has a pet monkey, and takes Jasmine on a carpet ride through the clouds. All the things I look for in a man. Coolbeans4 challenged me to share three quotes in three days, but I’m going to follow her example and do all three at once! Three times the inspiration.